Don't fear the squid. This bright, impressive dish is easier than you think. During the Facebook Live, Millard shared her tips for ensuring that the squid is poached to perfection, starting with how to prep. “To put it delicately,” Maillard says, “you rip the heads off of the bodies.” Sorry, squid. Next, remove the insides (sorry, again) and slice each one into rings. When shopping for squid, Millard recommends buying from Monterey Bay, because the seafood program promotes sustainable practices. Since the squid only takes about 10 seconds to poach, the court bouillon (the poaching liquid) needs to be heavily seasoned. Otherwise, Millard says that the flavors won’t affect the squid at all. Since almost all of the components in this recipe can be made in advance, this dish is great for dinner parties. But remember not to drizzle the lemon juice into the vinaigrette until the dish is ready to serve, because the acid will turn that beautiful green color into a murky brown. Millard might have learned about this ingredient transformation the hard way, but luckily we have her past experience to serve as a cautionary tale. 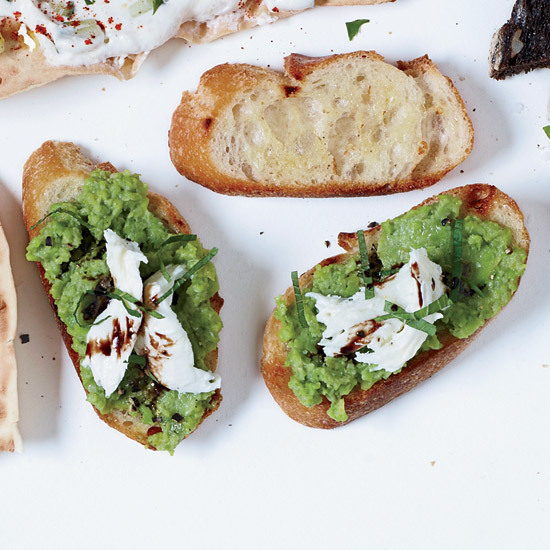 For more spring dinner party inspiration, check out these recipes.